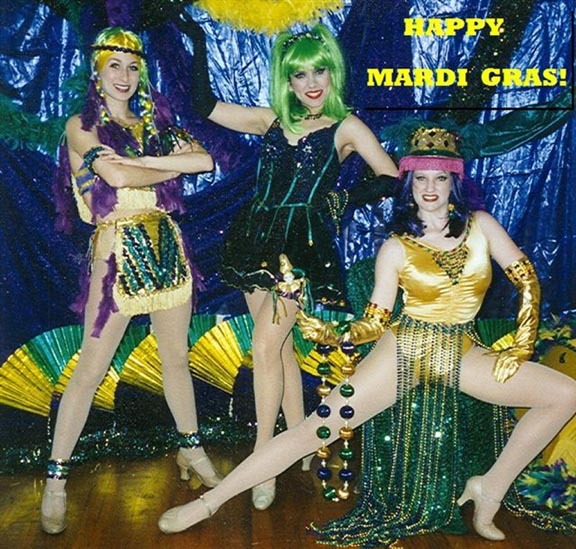 You are currently browsing the tag archive for the ‘Mardi Gras’ tag. 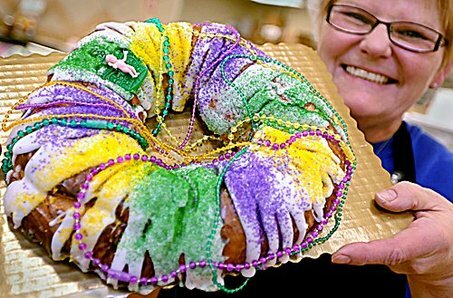 Today is Mardi Gras, the hedonistic final day of the carnival season! Tomorrow, practicing Catholics take up the austere self-privations of the Lent, but today is given over to parties and spectacle. Every year, I vow to go down to New Orleans and look for exiguously clad replacements to the smoldering Delta flame of yesteryear, but every year I end up in some gray northern office celebrating with nothing more than an unhealthy sandwich and a stack of paperwork. 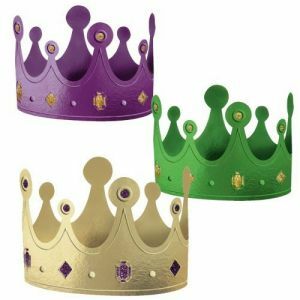 This year…well the same thing happened, but at least I can celebrate the flamboyant colors of Mardi Gras–green, gold, and purple. 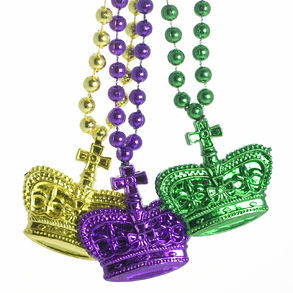 The official colors of Mardi Gras go back a long way. It has been claimed that the colors were chosen in 1872 by Grand Duke Alexis Alexandrovitch Romanov, a naval officer who was on a goodwill tour of America–although it is possible that the Grand Duke, a famous bon vivant, was instead trying to describe and order a cocktail made of lemon, lime, and purple bitters (a reliable history of carnival is obscured by the mists of time and a generous fog of alcohol). In 1892, Rex, the ceremonial king of carnival, ascribed a symbolic virtue to each color and equated them with Christian holy days. Purple represents Justice (and Lent). Gold stands for power (and Easter). Green is symbolic of faith (and Epiphany). Since those days the colors have become more and more pervasive and now they can be found festooned everywhere. The beads, toys, and false coins thrown from parade floats are frequently green, gold, and purple, as are many masks, costumes, decorations, and promotional materials/goods. 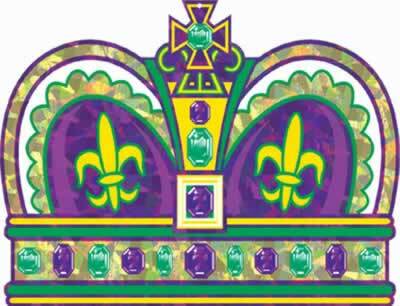 The lurid colors allude obliquely to royalty and many Mardi Gras objects are additionally decorated with crowns and fleurs de lis. 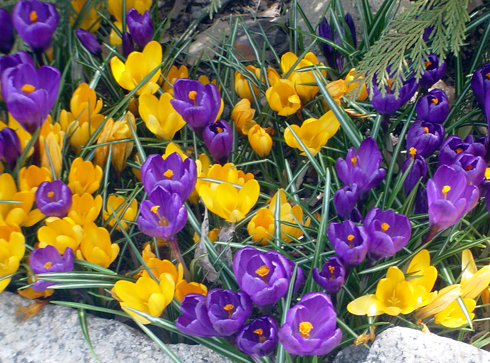 Whatever the historical or symbolic significance of the colors, I can’t help but notice their similarity to the colors of spring’s first crocuses which begin to pop up at the end of winter (especially during warm winters like this). Like the bright Kelly green of Saint Patrick’s day, the gold, purple, and green of Mardi Gras always remind me that the seasons are changing for the better and the verdancy and fecundity of spring is right around the corner.